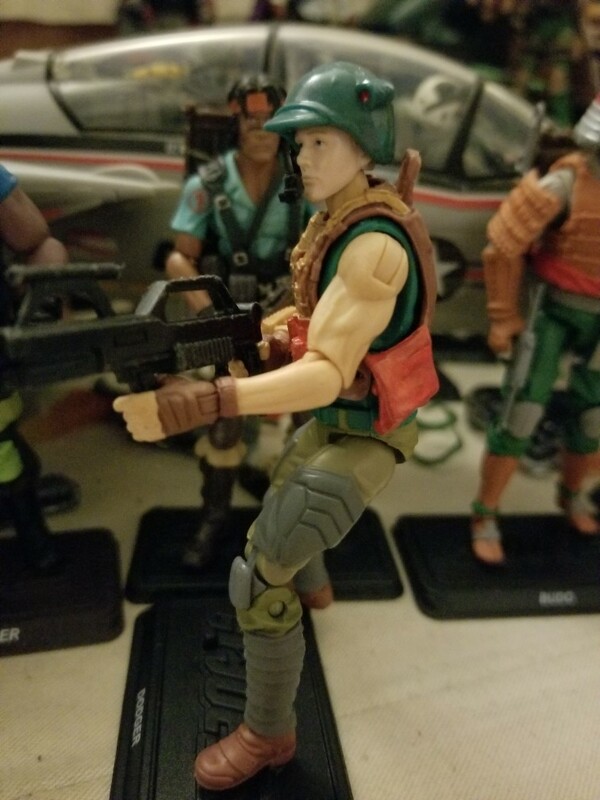 Dodger was my favourite BF2000 figure. The thing I liked the most about him for some reason was his helmet and mic. I was really disappointed in how the head turned out on the club one. 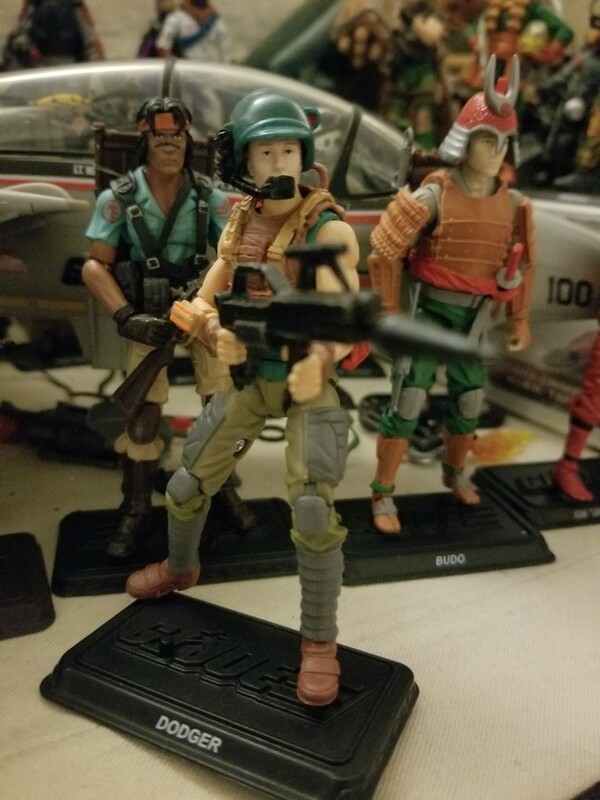 I had a helmet to use but was too lazy to paint the camo on as I was going to use it on my JoeCon BF2000 set. 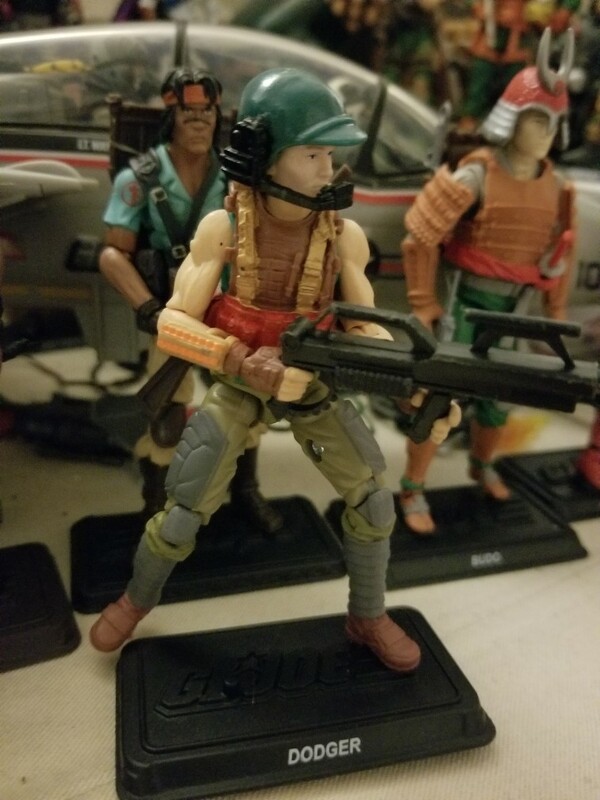 When I saw the SF one being released, I figured it was a perfect time to use that helmet that I had. When I have a chance to get more Marauders heads, then I'll probably switch up the head to a Marauders head though. That look’s nice. I guess great minds think alike. Yours is even more functional, having a removable helmet. 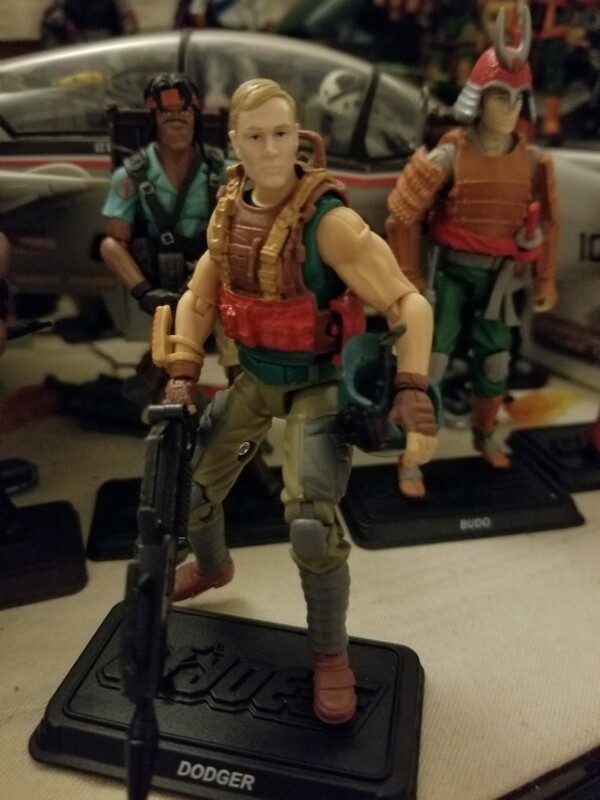 For just a split second, I thought I was looking at my figure in your picture, because following the 2017 Convention the first thing I had to do to my set was install the microphone comm system to the right side of his helmet for the 2017 Rich “Dodger” Renwick (v.3) figure. I too chose to use black instead of silver (as the vintage figure had), because I thought it looked better. Because the 1990 Sonic Fighters Dodger did not come with the microphone piece, I didn’t install one on the third figure of the Final Twelve set.